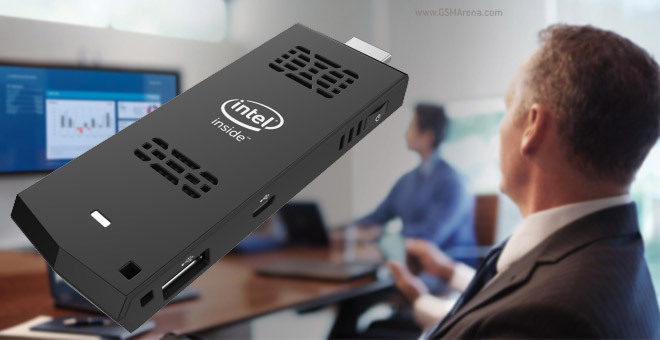 Intel is staying close to emerging new technologies – the Internet of Things, smartwatches and now HDMI sticks. With the rising popularity of Google’s Chromecast and Amazon’s Fire TV Stick, Intel’s Compute Stick stands out with a complete Windows 8.1 with Bing copy for just $150. The stick is powered by a quad-core Atom processor, not unlike the ones found in phones and tablets. The processor is paired with 2GB of RAM and 32GB of storage on board, though since that will be a tight fit with Windows 8.1 there’s a microSD card slot too. A more affordable Ubuntu Linux version of the stick is available at $90, but that has only 1GB of RAM and 8GB of storage. In terms of connectivity the Intel Compute Stick has a male HDMI port on one end and a microUSB for power. Intel is working on an improved verison that will draw its power from the HDMI port itself, saving you a cable. There’s also a full-size USB 2.0 port, Wi-Fi b/g/n and Bluetooth 4.0. The pocketable computer will be available this March. Future versions will update the chipset from Bay Trail to the new Cherry Trail and maybe even Core M.